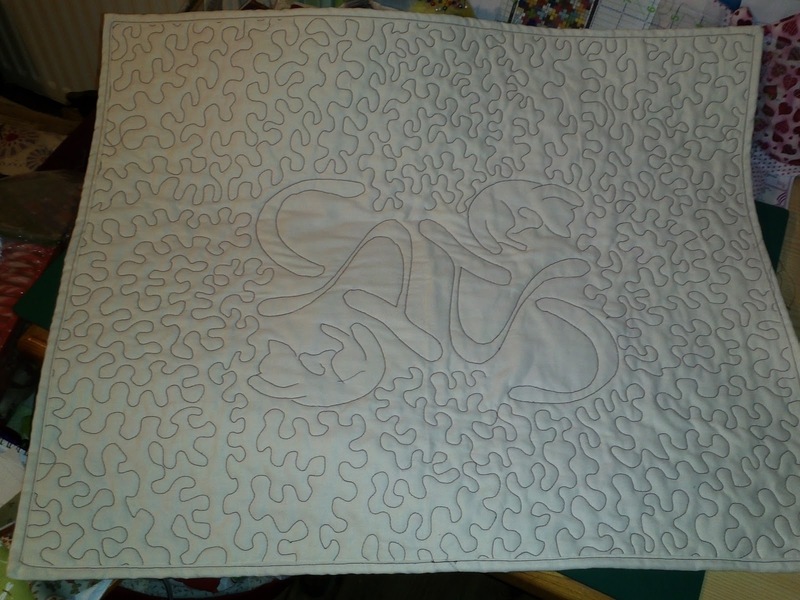 This is an ambigram cat mat, to put the design on the middle I traced it out on grease proof paper, pinned it to the sandwich of top sheet, wadding and backing and sewed through it, then I free motion quilted the rest of it. It's a great way to do some complex designs. I've also made a dragon wall hanging using this method and it really is an easy and fab way to do it. oh, lovely stitching! thanks for sharing how you made your piece! and thanks for linking to TGIFF!